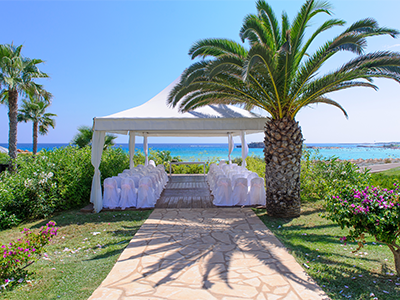 Weddings are a big deal in the Nissi Beach area of Cyprus with lots of beautiful hotels charging big prices. If you getting married yourself or just attending a wedding stay with us and be the envy of the group! 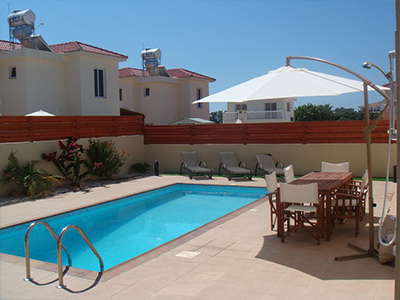 We've been taking bookings since 2007 and in that time we've built up a reputation as being one of the top rated villas in the Nissi Beach area of Cyprus (as seen on Villarenters.com). 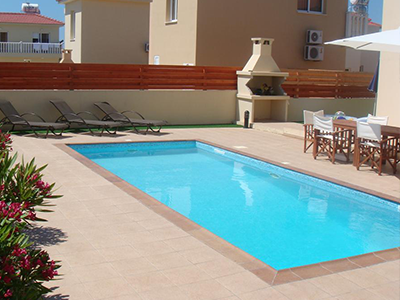 We've two identical properties, each sleeping a maximum of 6 people and both complete with their very own private pool, air conditioning, Wi-fi, Sat TV, astroturf for the kids and a fantastic BBQ.